The bracket is set, and the real action is underway. 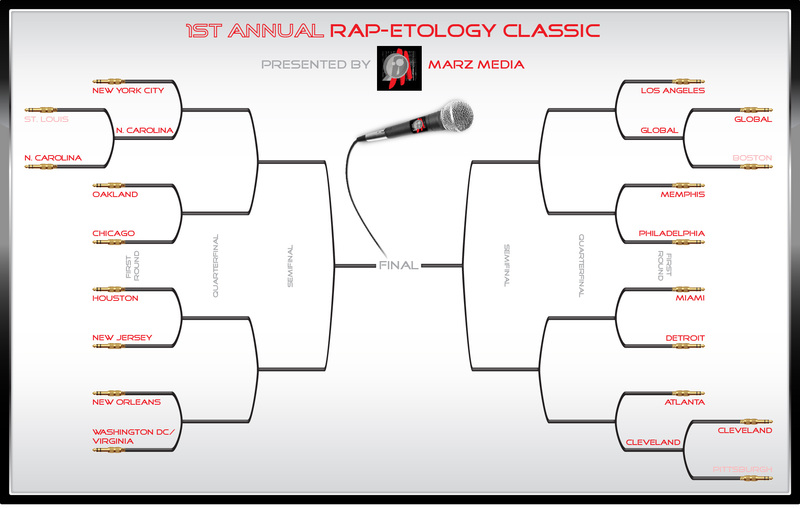 The 1st Annual Rap-etology Classic promises compelling battles and controversial debates about which parts of the country reign supreme. Check below for matchup details and for the Marz Media Podcast, where LeMar, DeSalv, and (introducing) Kodi Shay speculate on outcomes on the Classic as well as the NCAA tournament. To make your picks, ‘like’ the Marz Media Facebook page.